Come Out to the Cabin at 984 Rt. 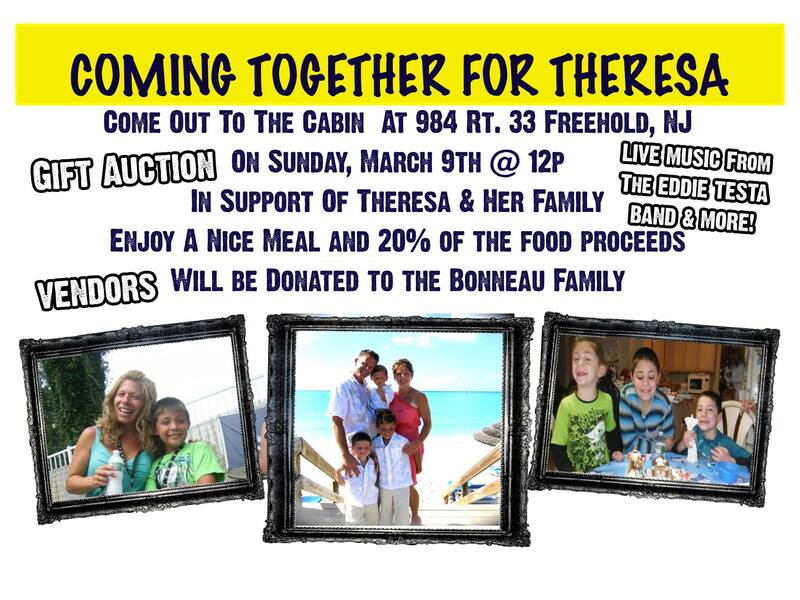 33 Freehold, NJ On Sunday, March 9th@ 12p in support of Theresa and her family. Enjoy a nice meal and 20% of the food proceeds will be donated to the Bonneau Family. There will be LIVE MUSIC from the EDDIE TESTA BAND, SEPTEMBERS BREW and TOMMY BYRNE. There will also be Vendors, 50/50 a Gift Auction all coming together to raise money for the Bonneau Family. Theresa Bonneau has been diagnosed with Glioblastoma Multiforme, an inoperable brain tumor. She has been in and out of the hospital since Dec. 5, 2013. The results of her biopsy have shown that her tumor is cancerous and further tests and scans confirm the tumor is growing rapidly. Terry is a wife and mother of 3 beautiful young boys ages 4,7 and 9. We are asking for your support in the form of prayers and donations to help cover the staggering costs of these unforeseen medical bills and household expenses. Come together and help the Bonneau Family! GSFF is a 501(c)3 non profit organization that is proud to comply with all ADA requirements at all venues. Bearer agrees that GSFF, its agents and licensees, shall have unrestricted right and license to use bearer’s likeness in broadcast, telecast, film or photography taken in connection with any and all events at the Festival. Olde Freehold Day events start at 11:00 A.M.
Summerfest 5 events start at 7:00 P.M.
Freehold Veteran's Appreciation Day events start at 2:00 P.M. 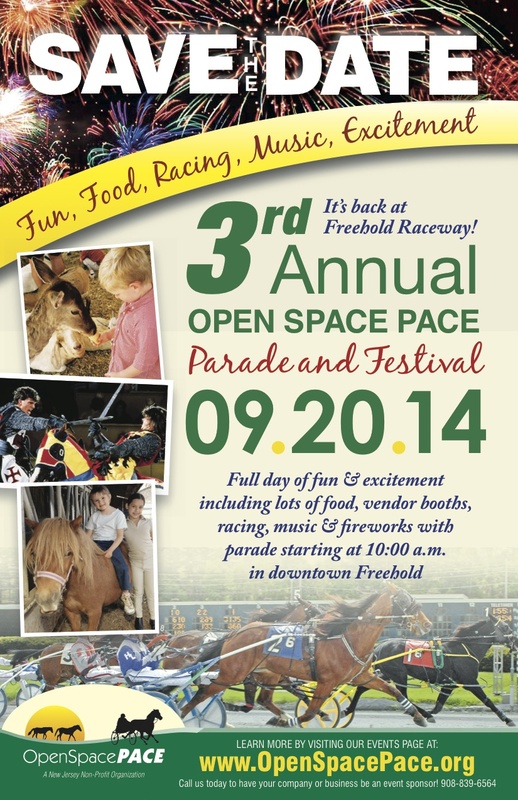 The event starts at 10:00 AM with the Parade of Horses down Main Street, Freehold Boro to Freehold Raceway. All Events will follow throughout the day at the Freehold Raceway. 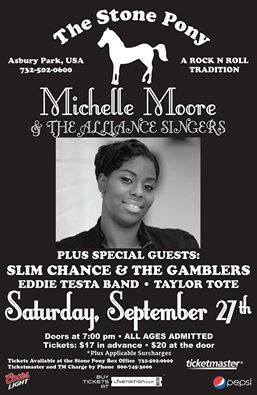 Michelle Moore, known for her background singing with The Boss, and the Asbury Park based Victorious Gospel Choir, will grace the stage with the Alliance Singers. Also performing will be Slim Chance & The Gamblers, The Eddie Testa Band, and Taylor Tote, as they join the fun to celebrate Kyle Brendle's birthday and the Stone Pony rocks into the night, Asbury Park style!!! Michelle has been backing Bruce along with other talented singers on the Wrecking Ball tour, and we're excited to hear her Gospel stylings with her own band. What a night!! !